Making an important lasting change in our life can be tough. We vow to get out of debt, but old habits are hard to break and we just can’t seem to make progress. We commit to putting more aside for an emergency fund, but spending comes so much easier. In their book, Switch, Chip and Dan Heath offer helpful insights into the challenges of change, along with practical steps for succeeding. What often gets in the way is the battle that takes place between our emotional side and our rational side. To emphasize which side usually wins, they use an Elephant as a metaphor for our emotions and a Rider as a metaphor for our rational thoughts. The Rider may appear to be in charge, but the Elephant—the sheer weight of our emotions—can easily overpower the Rider’s logical thoughts. In my first post about Switch, I described one of three surprises the Heaths came across in researching the process of change: What looks like resistance is often a lack of clarity. Being crystal clear about the destination and mapping a path helps overcome our logical side’s tendency to over-analyze. Now here’s their second key insight: Making a change or pursuing a goal requires more than logic and will power; it requires an emotional appeal. They explain that most people think change happens in this order: Analyze, think, and then change. In reality, though, it happens like this: See, feel, and then change. In other words, trying to bring about a change through analytical arguments or how-to guidance alone isn’t enough. To get out of debt, for example, while you need some knowledge about what it’s going to take, you also need to infuse the desired change with emotion—how you’ll feel once you’re out of debt. When I was in my late 20s and woke up to the reality that I had $20,000 of credit card debt, at first it was depressing. I just wanted to sleep, as if ignoring the problem would make it go away. But eventually I started associating being debt-free with my desire to get married someday. That played a big role in motivating me to make as much money as I could in order to wipe out my debts as quickly as I could. You could tell yourself that if you don’t get out of debt, things will only get worse. You could lose it all—your car could be repossessed, your house could be lost to foreclosure. And sometimes, the Heaths note, negative emotions are needed to get us moving in the right direction. However, in most cases, the Heaths say positive emotions are more helpful in bringing about a desired change. They’re more motivating as we do the work to bring about our desired change. 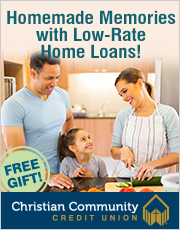 Want to get out of debt? Dwell on how good it will feel to be free of debt once and for all. Making a big change can feel overwhelming. The Elephant in us would rather numb the pain at the mall. That’s why it’s important to set yourself up for small wins. It feels good to make noticeable progress. 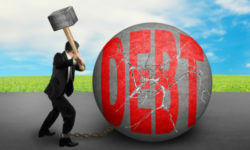 When tackling debt, go after the lowest balance debt first, regardless of interest rate. It’s the most easily attainable win as you work toward becoming completely debt-free. While it will help to pay more than the minimum due, that, too, can feel overwhelming. That’s why I encourage people to “fix” their payments as a first step. That’s a very simple, very effective step anyone can take to speed the process of getting out of debt. Marketers know all about making an emotional connection. It’s the primary way they go about making the change they want: Having us part with some of our money to buy their products. Think about the Polo Ralph Lauren brand as an example. It has done a very effective job using photography to infuse its brand with a sense of wealth and luxury, which is why it has been able to price its clothing so high. Buyers of that brand may not think this way consciously, but when they buy Polo shirts or pants they are buying into the Polo lifestyle. It’s the same in so many product categories. The successful brands are those that have used advertising and marketing to create strong emotional connections with their customers. We would do well to take that same approach in making the changes or pursuing the goals that matter to us. How do you see the Heaths’ guidance applying to your life, using your emotions to bring about a change you’ve already made or to pursue a goal you’re working on right now? Know someone else who would benefit from this article? Please forward a link to my site. And if you haven’t done so already, you can subscribe to this blog by clicking here. Twice a week, you’ll receive ideas and encouragement for using money well.